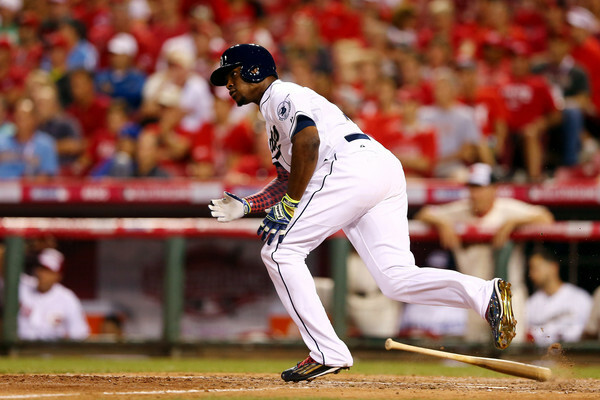 Despite a small decline in his production, Justin Upton is gathering a lot of interest as we head towards the trade deadline, with the San Diego Padres very eager sellers. The Chicago Cubs, New York Mets, Baltimore Orioles, Los Angeles Angels and the Houston Astros are in the picture of this deal. The Padres are 8.5 games behind the Dodgers in the NL West. Not lost, and the Wild Card is still an option, but this seems like it’s going to the same place it always is for the Padres: Not playing any baseball in October. Upton made the All-Star game for the third time in his career earlier this month. After eight seasons in Arizona with the Diamondbacks, he’s hitting .251/.330/.429/.759 with 16 home runs and 50 RBIs. Making $14.5 million through this season, the 27-year old outfielder is a free agent at the end of this season, making him a very desirable object of courting. The Orioles seem to be closest at the moment to getting a deal done, as they’re caught in what seems to be a very close race for one of the AL Wild Card slots. The Angles and Astros are battling for the top spot in the AL West, the New York Mets are also chasing a playoff ticket in the NL East and the same goes for the Cubs, who won’t be making it by winning the division, too far out of reach for them.